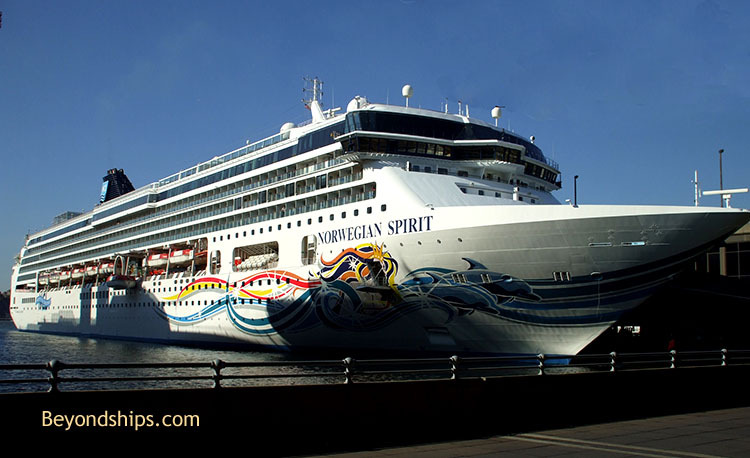 Norwegian Spirit gets around. 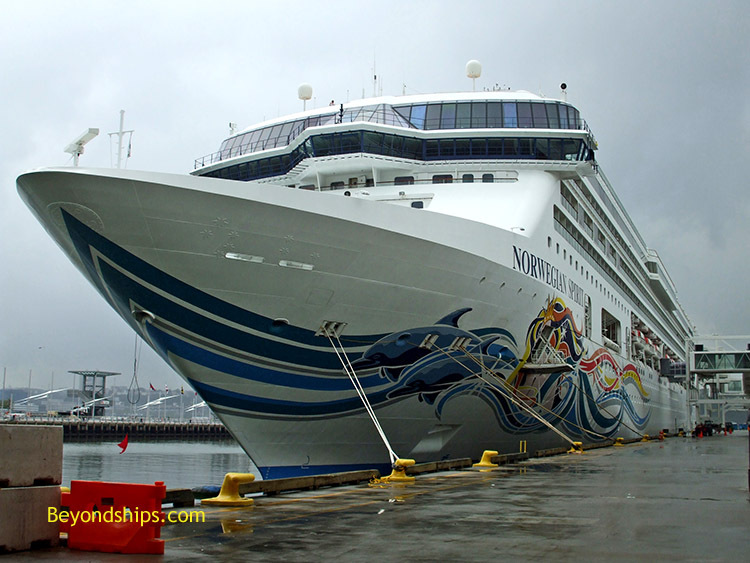 In this feature, we show her in a few of the ports she has visited. 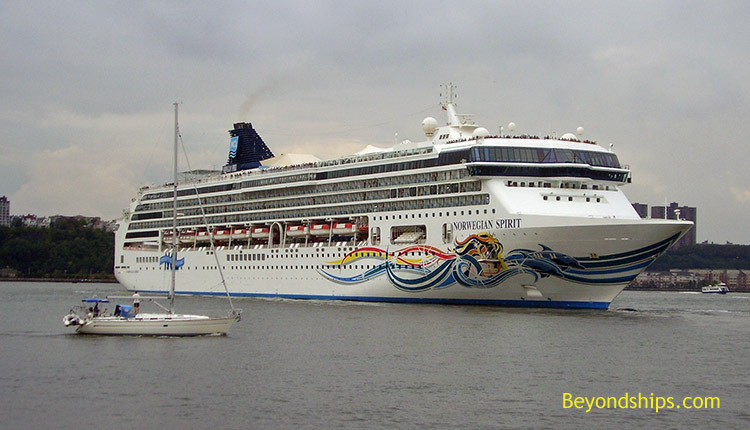 In 2005, Norwegian Cruise Line deployed Norwegian Spirit to New York. 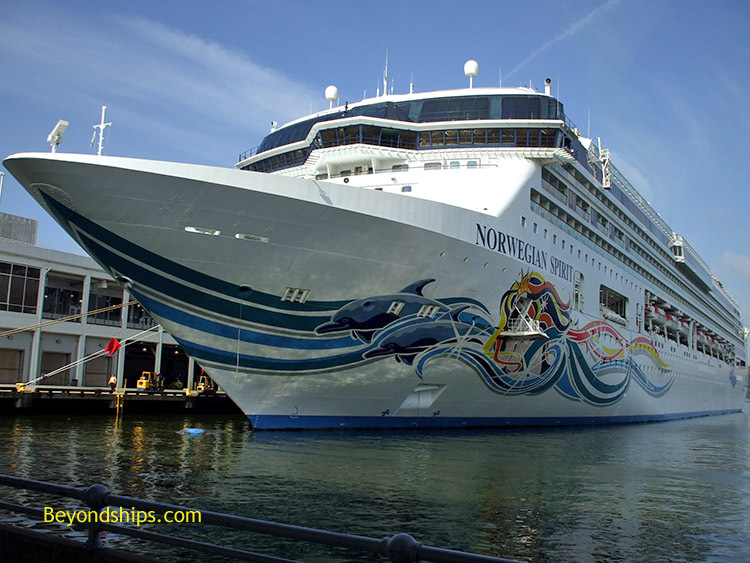 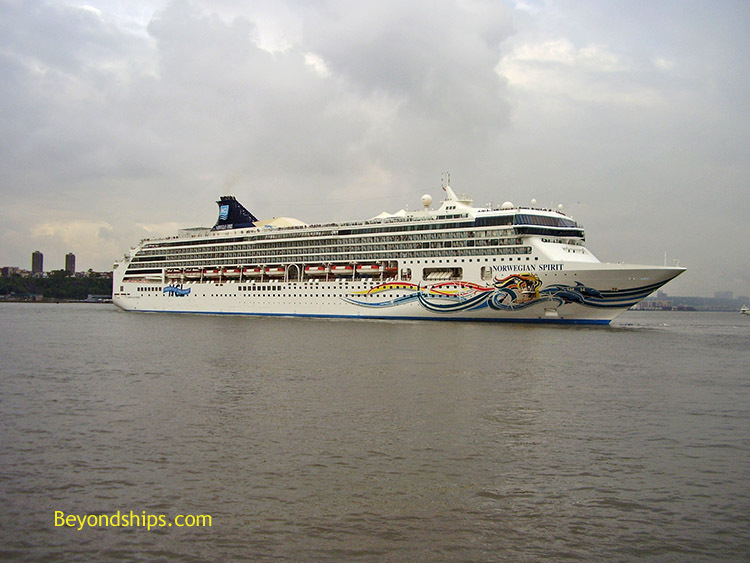 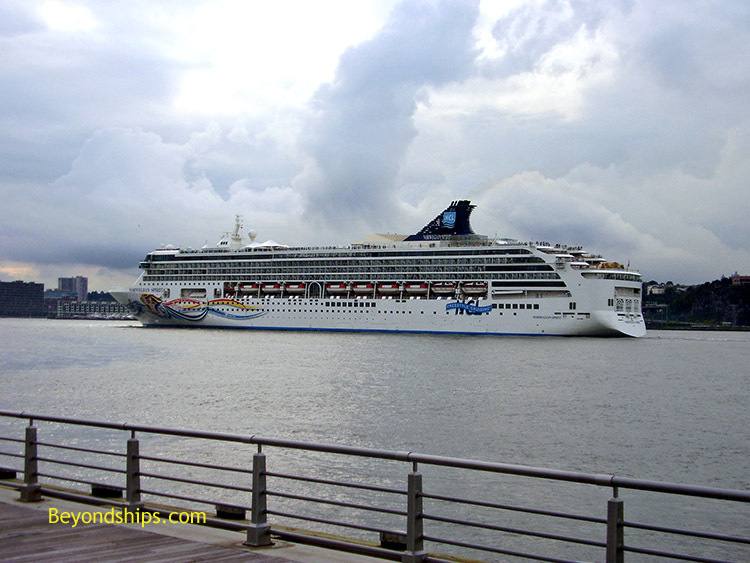 For several years thereafter, she shared the role of being one of Norwegian's New York ships with Norwegian Dawn and then later Norwegian Gem and Norwegian Jewel. 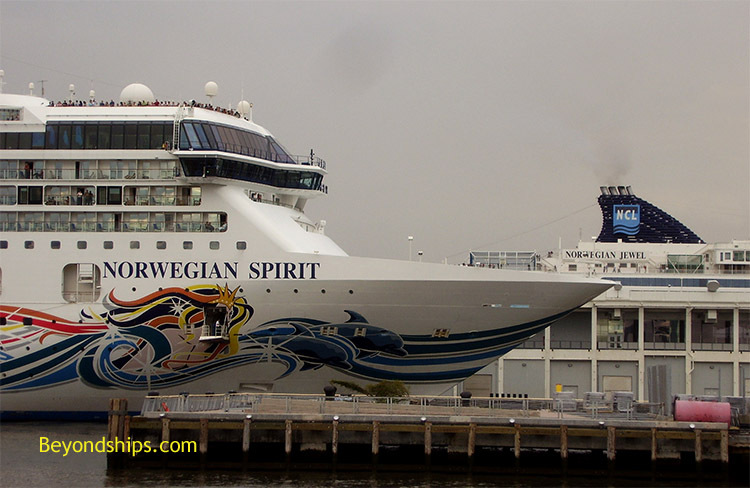 As a result, Spirit became a familiar sight in New York harbor. 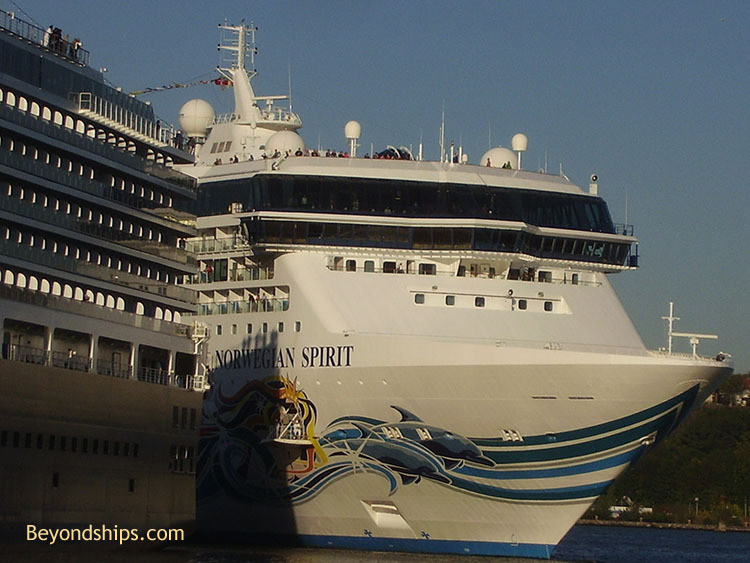 Spirit's home was the Passenger Ship Terminal (also known as the Manhattan Cruise Terminal) on the Hudson River (a.k.a. 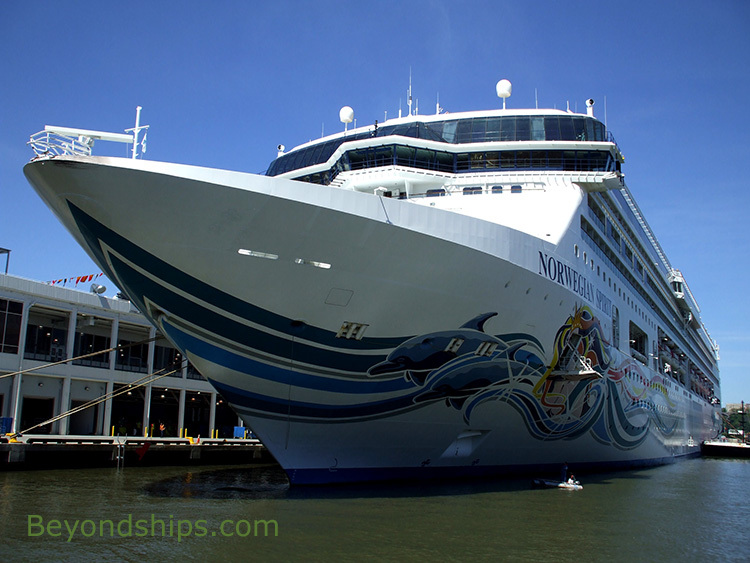 North River). 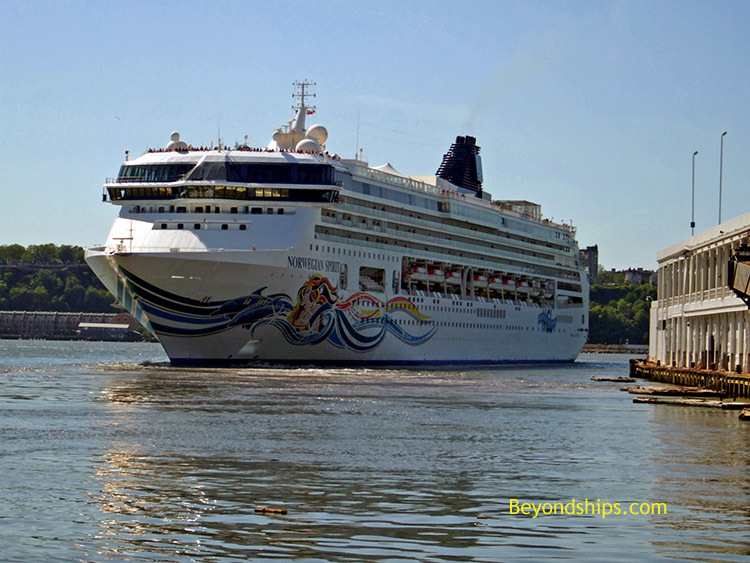 Most often, she would berth on either side of the recently refurbished Pier 88 but occasionally, she'd take a spot at Pier 90. 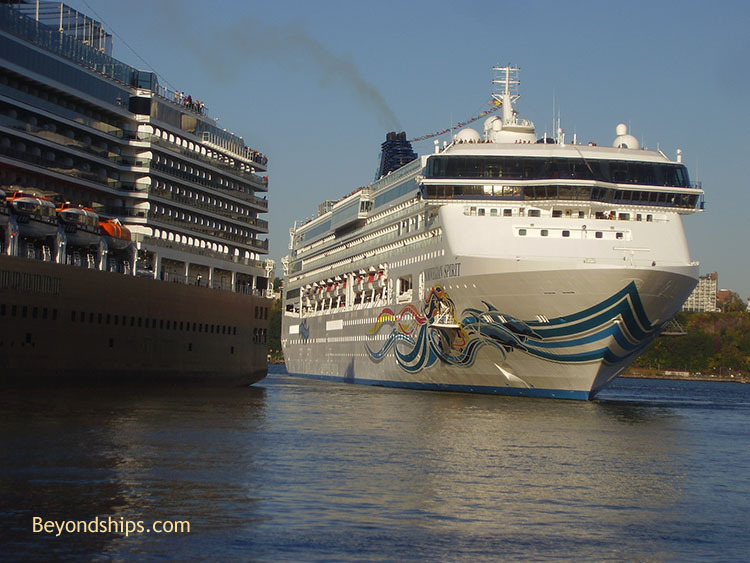 Because docking at the Passenger Ship Terminal requires a ship to turn sideways to the current of the River, it can be a difficult operation, especially if there are other ships berthed at the neighboring piers. 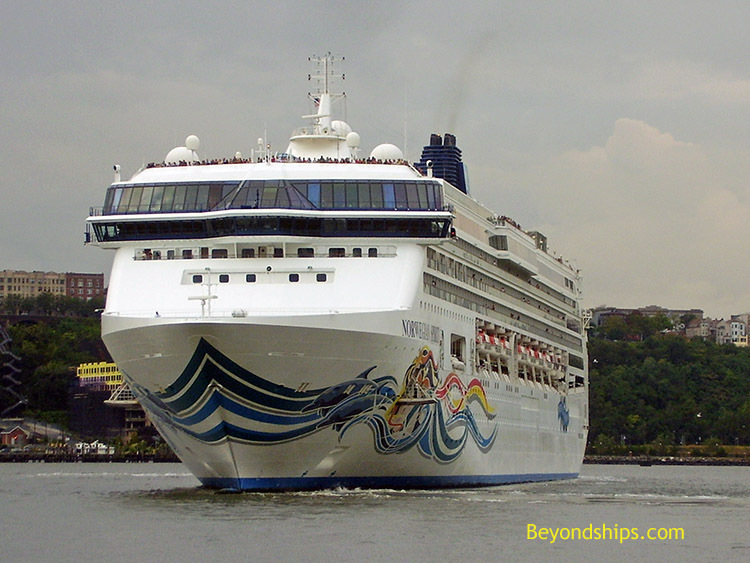 Leaving the Passenger Ship Terminal requires a ship to back into the river with the current pushing against the port side and then turn 90 degrees to follow the course of the river out to sea.